Posted on September 17, 2018 by Eric Bonnici wrote in Community Events, Entertainment News. It has 0 Comment. 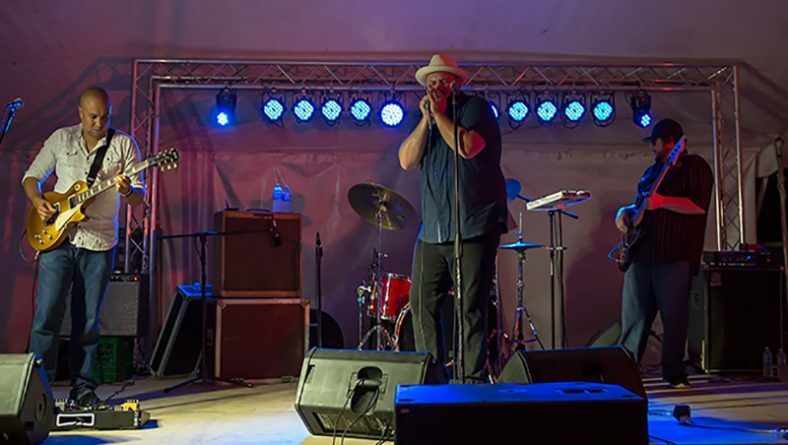 The Canada South Blues Society hosted the 15th Annual Riverside Blues Festival featuring Memphis Bluesman Brandon Santini thrilling music fans during this fundraiser for the Unemployment Help Centre Food Bank’s Operation Feed The Hungry, and Coats For Kids programs. Also performing were local musician Kelly “Mr. Chill” Hoppe, and The 519 Band. The fun took place at The Riverside Sportsmen Club on Saturday, September 15, 2018. Memphis vocalist and harmonica player Brandon Santini headlined the night. 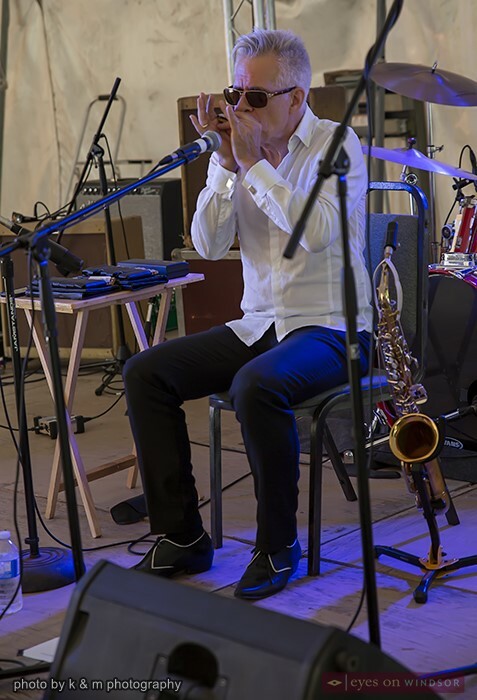 Santini is worthy of conversations that include Jason Ricci, Billy Gibson, Dennis Gruenling, Rick Estrin and other frontline harmonica players by combining his love and respect for traditional blues with a present, colorful style of playing that is often compared to James Cotton or Paul Butterfield. Memphis vocalist and harmonica player Brandon Santini smiles while performing at the Canada South Blues Society’s 15th Annual Riverside Blues Festival at The Riverside Sportsmen Club on Saturday, September 15, 2018. Photo by Maureen Stewart / K&M Photography. 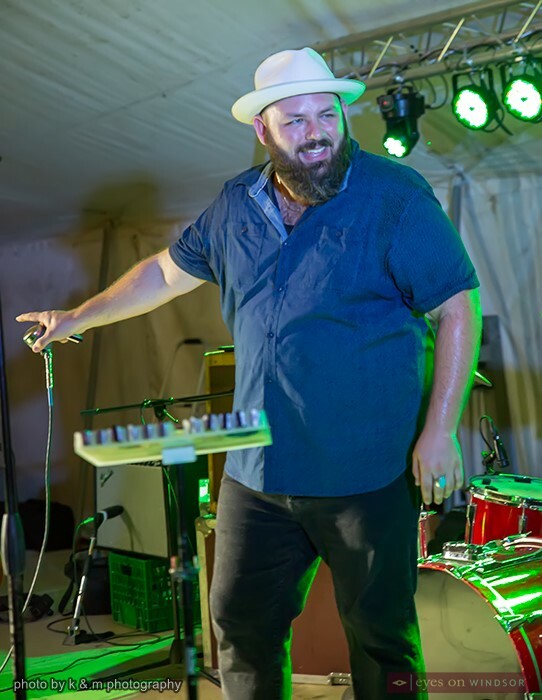 Raised in the Piedmont region of North Carolina, Brandon purchased his first harmonica in 1997 at the age of fifteen when his mother took him to the local music store upon his request. He founded the Blues Music Award nominated band Delta Highway in 2003 and relocated to Memphis where he absorbed the sounds and culture of the Delta and North Mississippi Hill Country, honing his craft night after night, sweating it out in local Beale Street clubs just like Robert Johnson, Muddy Waters, and B.B. King did decades before him. “Mr. Chill” Kelly Hoppe of Big Sugar fame performing at the Canada South Blues Society’s 15th Annual Riverside Blues Festival at The Riverside Sportsmen Club on Saturday, September 15, 2018. Photo by Maureen Stewart / K&M Photography. Opening the evening of entertainment was local musician, harmonica player, and legendary Big Sugar band member, Kelly “Mr. Chill” Hoppe. Performing with Hoppe were local musicians Greg Cox, and Chris Borschuck. The 519 Band brought their soulful Blues and rock sound to the festival. 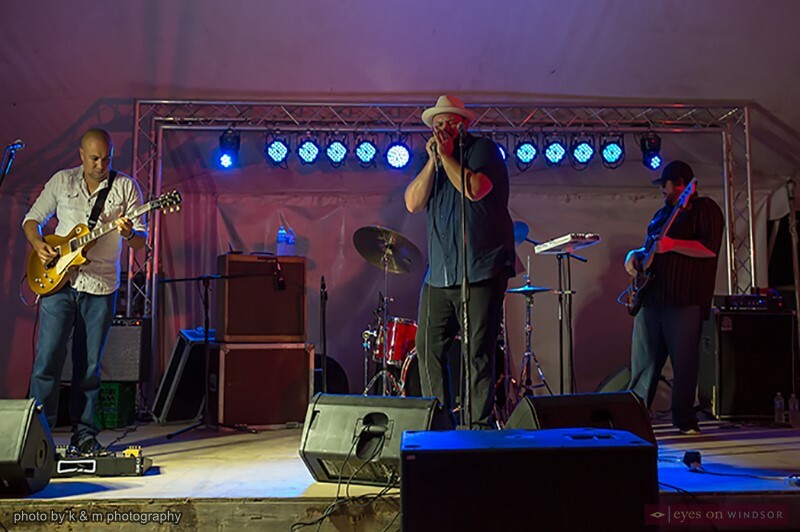 In 2015 the band won the Canada South Blues Society’s annual “Road To Memphis Blues Challenge” and they competed at the 2016 International Blues Challenge competition in Memphis, Tennessee. Windsor’s The 519 Band performing at the Canada South Blues Society’s 15th Annual Riverside Blues Festival at The Riverside Sportsmen Club on Saturday, September 15, 2018. Photo by Maureen Stewart / K&M Photography. The Canada South Blues Society is getting set to hold the 2018 edition of their Road to Memphis Challenge, with the first round of the competition kicking off at the Lion’s Head Tavern on Wednesday, September 26th. Competition rounds will continue on October 3rd and 10th, with the finals happening on October 17th. The Winner will represent Southwestern Ontario at the International Blues Challenge in Memphis Tennessee. In addition, they will receive prize money to help with travel expenses so they can compete against over two hundred bands from around the world! The International Blues Challenge is the world’s largest gathering of blues musicians, this year it takes place on January 22 to 26, 2019. 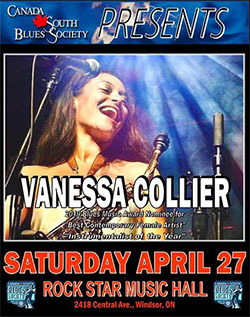 Blues fans will be thrilled in late October when the Canada South Blues Society brings powerhouse Blues/Roots/Soul singer and award winning bassist Danielle Nicole back to Windsor. Danielle thrilled the crowd with her edgy emotionally charged vocals and music during Bluesfest Windsor on Friday, July 13, 2018. 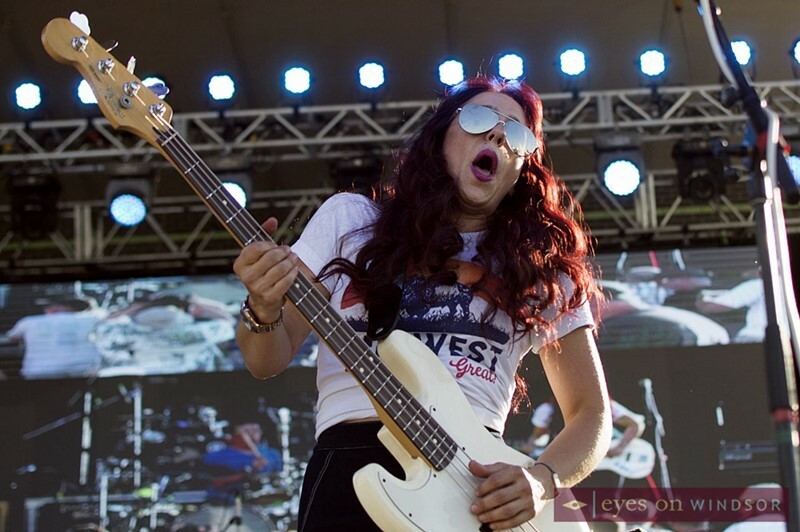 Powerhouse Blues/Roots/Soul singer and award winning bassist Danielle Nicole thrilled the crowd with her edgy emotionally charged vocals and music during Bluesfest Windsor on Friday, July 13, 2018. Photo by Eric Bonnici / Eyes On Windsor. Founding member, lead singer, and bass player of Kansas City blues-rock band Trampled Under Foot, Danielle Nicole stepped out on her own in 2015 with her debut album “Wolf Den.” In 2018, Nicole returned with her follow-up release, “Cry No More”, via Concord Records. Nicole’s distinctive, inventive bass work—which resulted in her becoming the first woman to win the Blues Foundation’s 2014 Blues Music Award for Best Instrumentalist, Bass—is the product of years of intensive roadwork. Danielle Nicole will be performing at Winsor’s Rockstar Music Hall on October 27, 2018. 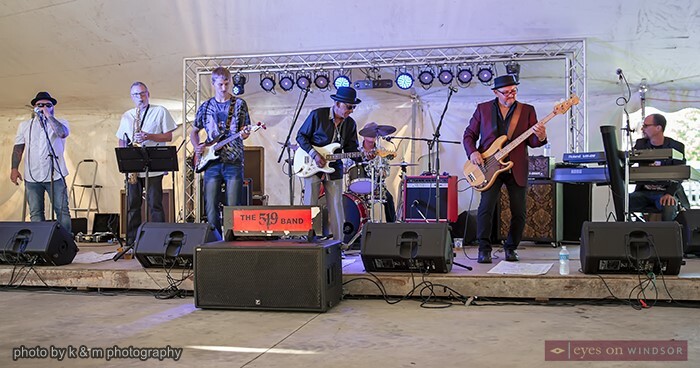 The Canada South Blues Society hosted the annual Riverside Blues Festival as a fundraiser in support of the Unemployment Help Centre Food Bank “Operation Feed The Hungry” and the Coats For Kids programs. 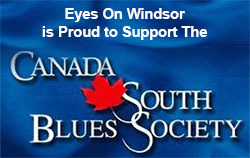 For more information about the Canada South Blues Society and their upcoming shows or to purchase tickets please contact Mike McCann 226-757-0748 or Glen Myers 519-979-4864. 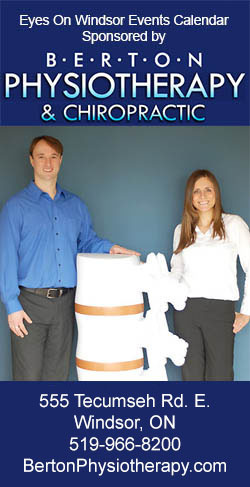 Kirk Harris and Maureen Stewart are a husband and wife photography team with a fresh prospective on photography and client relations. They work seamlessly with each other knowing what each expects of the other which makes them the ultimate team. In addition to photographing live events they are also available for your wedding, engagement, newborn, and family portrait sessions. 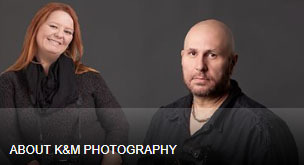 You can find out more about their services on the K & M Photography website and follow them on Twitter, Instagram, and Facebook.